gaming start-up in London and I knew that running my own start-up was my calling. I started my entrepreneurial journey with a mobile app agency building the company from scratch before attempting a failed social network gaming company focused on the music industry in 2009. My opportunity came after joining Europe’s leading mobile agency, Grapple Mobile, in 2010 where I met my current co-founders Deon Both and Charlie Carpenter. In 2012, I managed to raise a significant round of funding for the team, we all jumped on board testing ideas and concepts in market before focusing on the niche that would later become Kite.ly. – Explain Kite. What does it solve and how does it work? Kite provides an out of the box e-commerce store technology solution for mobile apps and websites. We are focused on delivering personalised photography products such as photo books, phone cases and prints for photography apps, cloud platforms and enterprise print companies where our mobile technology is leading the industry. 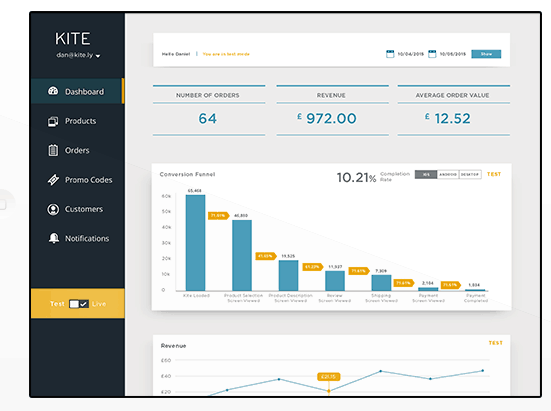 Our mobile plugins on iOS and Android and our e-commerce management dashboards look after everything for businesses who want to implement an e-commerce function into their existing app or website. We look after everything from the product builders and studio, to payment, shipping, product configuration, CRM, and analytics. We partner with a global print fulfilment network who manage all of the production of our products and shipping. We have also recently started to utilise our technology to build merchandise stores on the web and on mobile for brands and influencers such as YouTube creators where the demand for a full e-commerce solution is high. – So why not launch your own photo app instead of providing an API/SDK ? We initially launched our own suite of photography apps and quickly realised through those experiences there was a wider opportunity to provide a mobile e-commerce solution, as a platform, to other companies looking for these services on mobile. We now use our own suite of apps to validate and test updates, upgrades, optimisation of our own technology solution and pass these learnings on to our app partners. 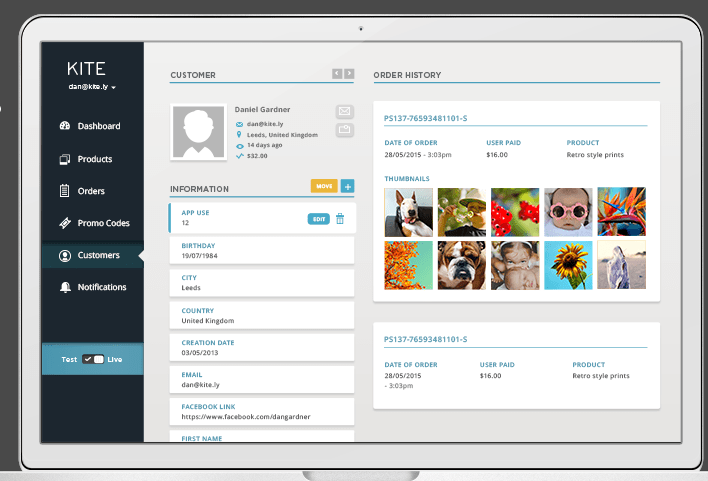 We wanted to take care of all of the hassle in setting up an e-commerce function within an existing app and website, be it development time for the product builders, integration time for print suppliers, payment services and all of the other features like CRM (mobile push notifications) and customer services tools you need to get up and running. We built all of this so our partners don’t have to and can concentrate on their core product roadmap. – You use machine learning and a/b testing to optimise conversion. Are the results applied across all users or on a case per case? We work closely with clients once they are onboard as a partner to help them continually optimise the user experience and sales conversion funnel within the SDK. We do baseline testing in our own apps utilising A/B testing and machine learning which is passed on to the SDK as part of our standard offering. The technology also supports more partner specific requirements on a case by case basis and we also work with partners to optimise a seamless conversion and user experience from within their existing app to the e-commerce store. Eventually, we want to be able to offer these tools directly to the partners via our dashboard and platform so they can manage this themselves. – It seems like a no-brainer for photo apps to use Kite. Why would any turn away? This is a good question. I think this is such a new area for existing and emerging photography apps that it’s really about answering their questions and concerns clearly so as to educate our potential partners on what is possible space. The platform is intended to be an acquisition, engagement and monetization solution, we have the data to back this up and we believe we provide this value for our partners. The main concerns that come up at the moment are around the user experience, which we ensure is seamless and feels like part of the existing app with our natively built mobile SDKs. Converting users from one type of behaviour to another is also something that comes up and once they have seen our technology in action partners quickly understand that it’s a real value add for their community. A lot of users actually ask the app companies for this type of service directly from within the app and then they start looking for us. Finally, the monetization opportunity is also a pertinent question where we believe we can add more value in this market than other options like in-app purchase and advertising for a lot of communities. – Some data : what is the number one photo product sold the most across all apps you currently service? Which country is the most hungry for products? Kite works with partners globally due to the nature of apps and we can fulfil anywhere in the world. The best selling products really vary depending on the demographics and locations of the existing community within the photography app. 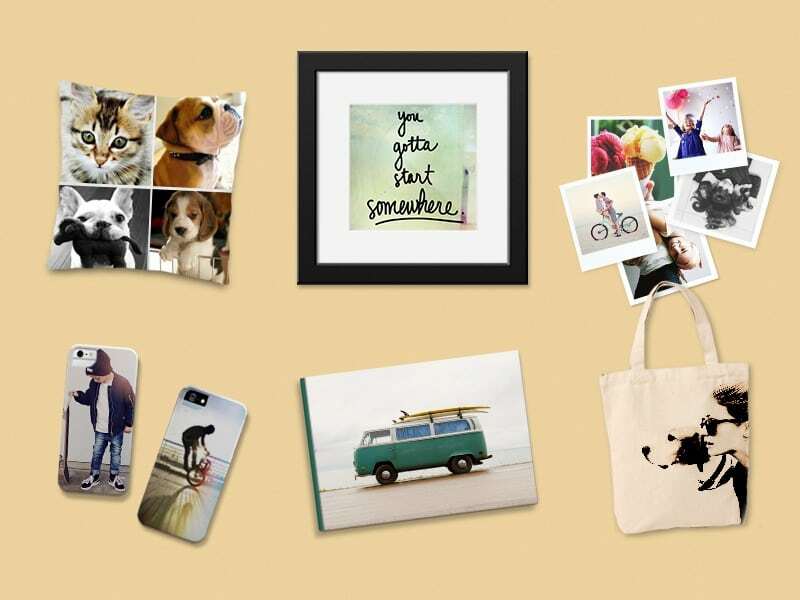 We are currently seeing that iPhone cases are obviously a best seller for photo editing apps, photo books are also very popular as is wall art like canvases (higher end) and posters (lower end) across the UK, EU & US. We work closely with our partners to match them with the right products and services across their community and geography. We don’t disclose or share data on our partner network so unfortunately I can’t go into any more detail than that. – You ship worldwide so you probably print worldwide. How do you maintain high-quality standards across all your shipments? We ensure that quality is at the forefront of our mind when choosing which supply companies to partner with across our global supply network. Price is also a consideration after this fact as we want to ensure that we can keep prices down and pass those savings on to our app partners. We perform full quality assurance of all products that are made available within the platform and we strategically partner with companies that give us global reach. We have a lot of major players integrated already across the UK, EU, US and Australia and we also partner with smaller companies who are innovating in the product space and able to offer product differentiation. – You don’t offer photo books. Why ? Photo books and the awesome builder journey our dev team created have recently been released on iOS. You can see an example of this in action with our partnership with Groupon Print available here in the UK iTunes store only at present. Our mobile builder/studio journey’s within the SDK to constantly being updated and currently support over 20-30 product types and variations with more are being added all the time. – Do you plan to offer any possible print platform and let the app developer decide which ones to offer or do you prefer a limited set? We allow our partners to choose which product sets they would like to offer within their app and we work closely with them to define this based on our learnings and data. – Any plans to offer 3 D products for the next generation photo apps? really exist yet but I envisage it will explode within the next 12-18 months with apps allowing users to create all variants of 3d objects. As we are able to manipulate images and video with the swipe of a button I believe we will very quickly be able to do this through 3d apps and I don’t think any of us can guess yet what they might look like. Once the 3d market matures we will be ready to help those businesses and users cross the divide from digital to physical objects. I particularly think that the jewellery, household and food industries will have great initial success here before the market matures again and moves into more practical applications across personal and business services. In the short to mid-term, we are focused on e-commerce solutions for mobile beyond personalised photography products. We are already servicing other product types within our platform such as bulk order products (drop-ship), e-books, bespoke crafted products and providing the mobile solutions and management platform for our partners to set up and manage these services themselves as an all in one e-commerce solution. – What would you like to see Kite offer that technology cannot yet deliver? 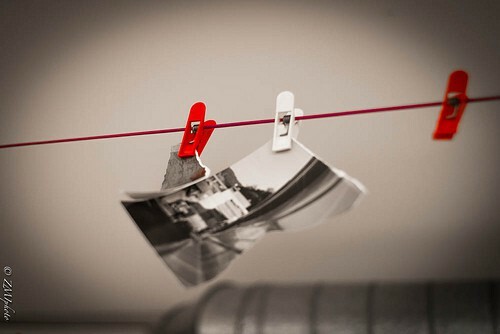 I think there are a lot of really exceptional technologies emerging in the image recognition space from helping users to sort their photographs, catalogue them, pick and choose which are keepsakes for printing and which are not. Sharing is also a major challenge in the digital photography and physical product space. We are working on technology which quickly and easily allows our SDK to offer monthly subscription for print services after sorting and suggesting images for the user and also ordering quickly and seamlessly for other people like grandparents, parents, aunts and uncles who all love the keepsakes. Our vision is to support our partners with engagement of their community while providing a viable monetization option for photography apps which has been a challenge to date. There are many technologies we would like to implement in the mobile SDK’s and backend platform to help them achieve this goal. Watch this space.